Join me for an investment of 7 nights/8 days to escape + revive. Soothe the spirit, rejuvenate the body + revive the mind. 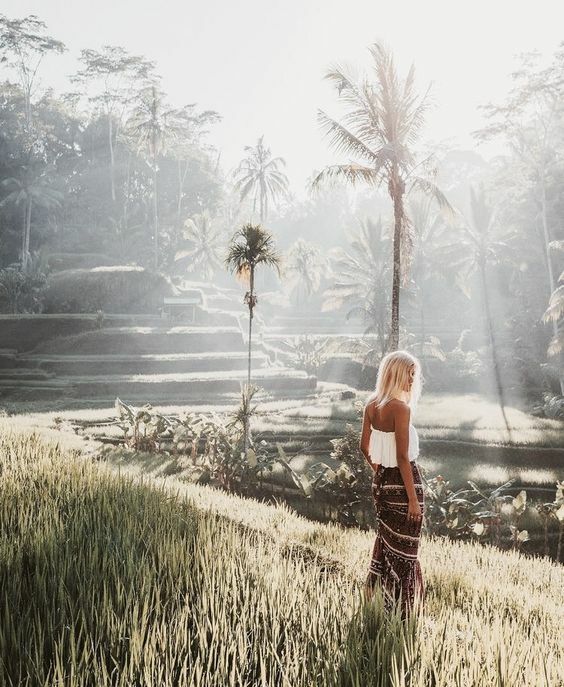 This retreat allows you to explore the rich culture of Bali while you expand your yoga practice in one of the most breathtaking settings in the world. We all need time away for reflection + relaxation; a respite from the chaos that life can sometimes present. Revive is your opportunity to learn the secrets of health, happiness, peace + calm. Connect to your inner wisdom and clarity. Feel the confidence to create a beautiful life. Breathe, meditate, move, and enjoy the sun, the beach, and nature of this amazing island. This is your time to recharge your batteries, release tension, empower your body, and find the inspiration you need for your best life. This retreat offers a 7 night / 8 day yoga escape. Combining breathtaking ocean side accommodation in peaceful surrounds, nutritious + organic dining, with the combination of both active, restorative yoga + meditation practices. As a volcanic island, with shifting energies and home to an ancient and cultural tradition of meditation, prayer, and reverence, Bali is an intense and powerful place. Simply being in Bali can bring on inner transformation and an unbelievable journey for each and everyone. North beyond the mountainous centre of Bali, past the jungles and lush rice paddies, there is a small town thought to be the Indonesian island's hidden gem called Tejakula. With a whole lot spirit, culture + heart, lies a retreat centre called Gaia Oasis. This oasis stretches from the top of a mountain right down to the sea. Breathe deeply… immerse yourself in the rhythms of the northern Balinese countryside. Gaia offers both the tranquility of a spiritual retreat up in the mountains — and a cleansing, blissful, ocean side beach resort. This retreat will take place at the beach side resort, but should you want to experience the calm and quiet of the mountain retreat during the day, this is most welcome. Gaia welcomes you to a home away from home. Group transport from meeting point in Kuta - Gaia. Return transport from Gaia - Kuta. Daily yoga, meditation, yoga nidra + pranayama sessions held at our private shala on site. All meals - gourmet, nourishing, organic grown on site + locally sourced produce. Tea, coffee + fresh fruit always available. Balinese Cleansing Ceremony at a local temple. Sacred gift for each guest. A non-refundable $400 deposit is required asap to secure your place - spaces are limited. I'M IN ... WHAT NEXT? Complete the form below to register your details. Once received you will be forwarded payment information. Q: Who is this retreat for? A: It’s for someone who is open to practicing yoga + mindfulness. Someone who is willing to STOP and just breathe. Someone who is ready to honour and embrace their body. Someone who is willing to put in the work for better habits and a transformed life. Q: Are airfares or accommodation included? A: Airfares are NOT included, you’ll need to make your own way to Bali, Indonesia. Closer to the date I will confirm with all attendees a meeting point in Bali (near the airport) so we can travel to Gaia together as a group in cars. This is roughly a 3 hour drive. This transport to Gaia IS included in the price. Accommodation for the seven nights is included in the price. You'll be staying in Balinese bungalow style accommodation, twin share or single occupancy. The bungalows are constructed out of bamboo, natural stone and wood; some are covered by traditional Alang-Alang grass roofs. They have open-air bathrooms, hot water, fully-equipped kitchens, mosquito nets, closets, towels, linen, and a day-bed. To reduce our carbon footprint, bungalows are designed to maximize airflow and use natural ventilation instead of air-conditioning. All bedding + linen is included. Q: Where is Gaia Oasis? A: The Gaia Oasis Retreat Centre, is on the north side of the island of Bali, Indonesia. 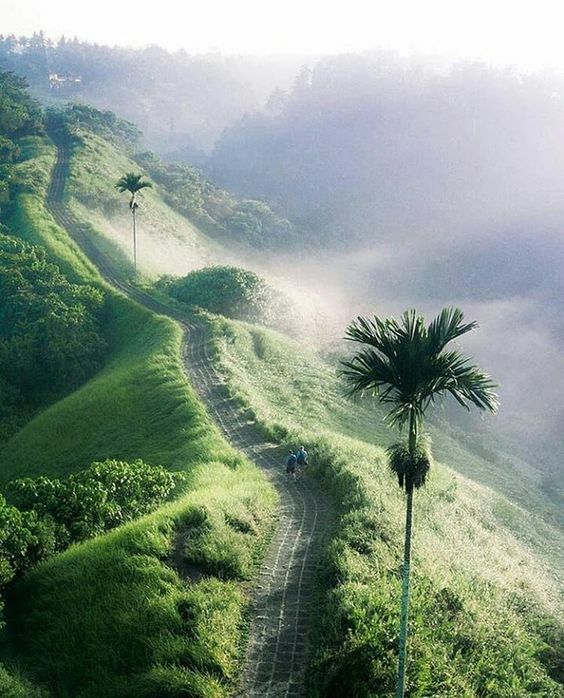 This lush, green oasis, stretches from the top of a mountain right down to its footholds of the Pacific Ocean. Gaia Oasis has two retreat centres. Abasan Mountain retreat + Gaia Pantai Beach Retreat - we will be staying at the beach retreat. Breathe deeply… immerse yourself in the rhythms of the northern Balinese countryside. A peaceful and pristine place to relax, unwind and disconnect. Q: I've never done any yoga before/ i'm not very flexible! A: No previous yoga experience is necessary, i've you've got some then great - if not, no dramas. A flexible body is not needed for the week, I just ask that you bring with you a flexible mind. Q: Can I stay in the same room as my friend? A: Sure! In this case, just be sure to mention this in email to me. A: No refunds after December 31, 2018. If you purchase a spot, you’re preventing others from buying them, as spots are limited. If you don’t ask for a refund by December 31, you’ll lose your fee if you can’t make it. If you ask for a refund before December 31, I'll refund the cost, minus your $400 deposit.